Still don’t set a passcode on your phone? The five-year CHP veteran called it a “game” among officers, according to an Oct. 14 search warrant affidavit. CHP Commissioner Joe Farrow said in a statement that his agency too has “active and open investigations” and cited a similar case several years ago in Los Angeles involving a pair of officers. Let’s hope Commissioner Farrow, who began his tenure in 2008, truly means what he says. 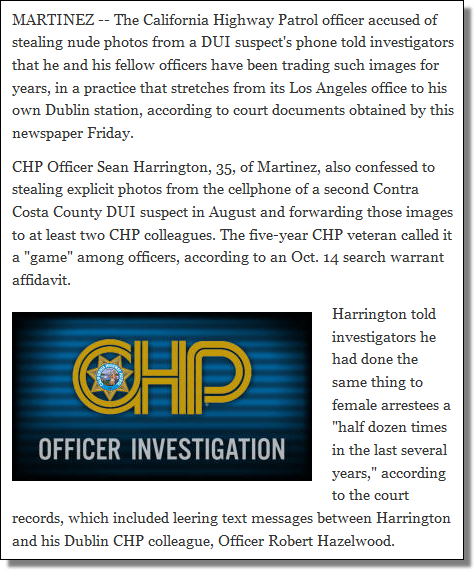 It appears that the CHP has a culture problem which goes back quite some time. Anybody who thinks violating the dignity of another human being is “a game” doesn’t deserve to be a cop. 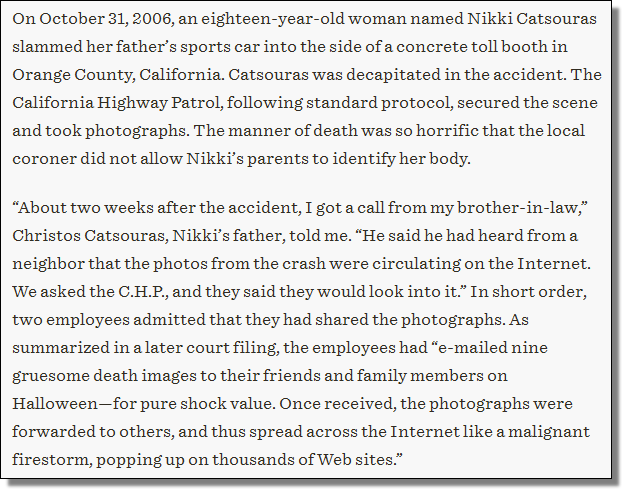 Offer the California Highway Patrol your feedback here and/or here.